Winner – Leonie Margetts for My Giddy Aunt. 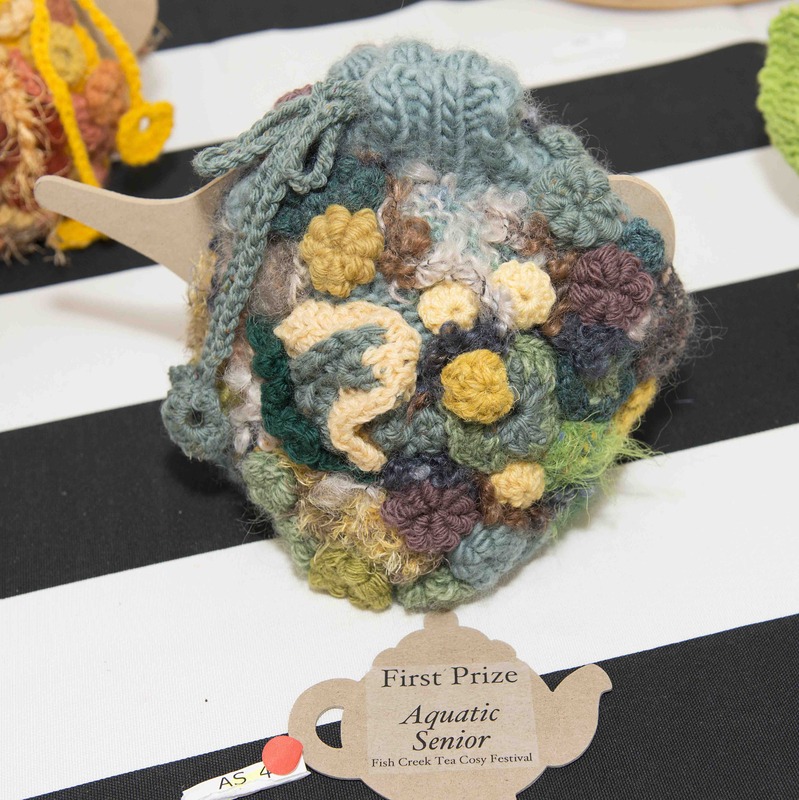 Honourable Mention – Heather Graham for Rainbow Delight, Sheila Ryan for Fleur De Teas. Winner – Jennifer Mallaby for Aussie Christmas. 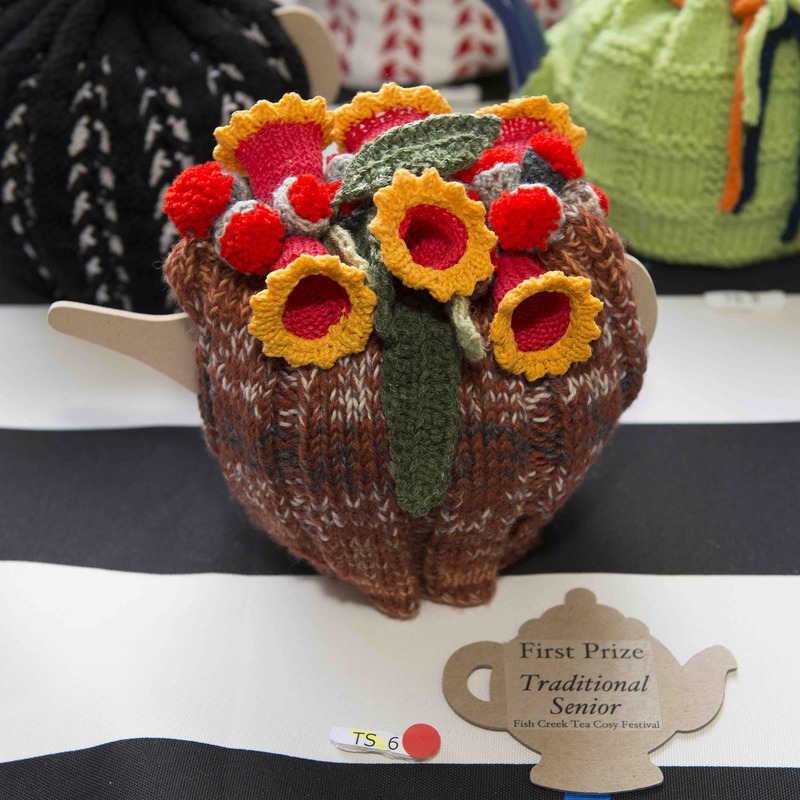 Honourable Mention – Bette McFarlane for Still Life, Margaret Rogers for Country Sky, Sandra Hatzis for Japanese Pinks and Reds, Shirley Evans for Pink Fairisle. Winner – Norma Brown for A Piscatorial Extravaganza. 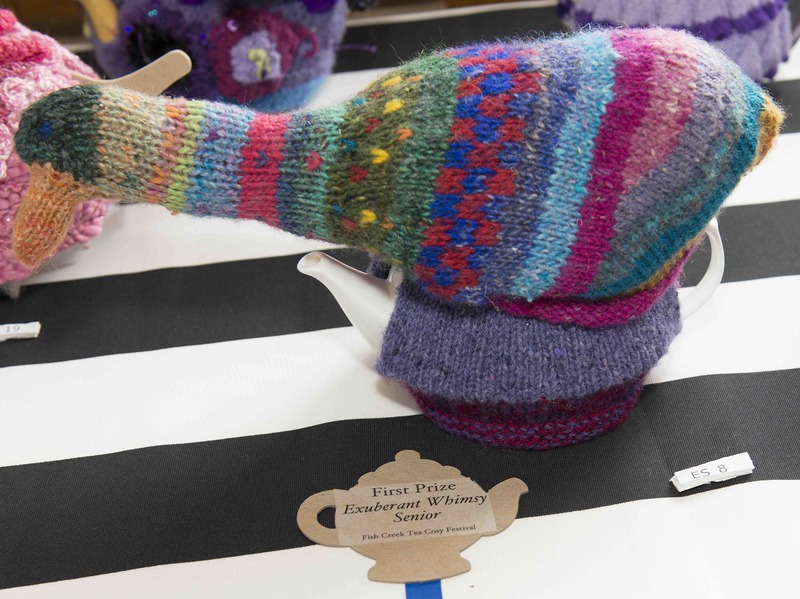 Honourable Mention – Jen Mulqueeny for Blue Lagoon, Tanja Aitchison for Can You Find Nemo. Winner – Jennifer Francis for Sea Bed. 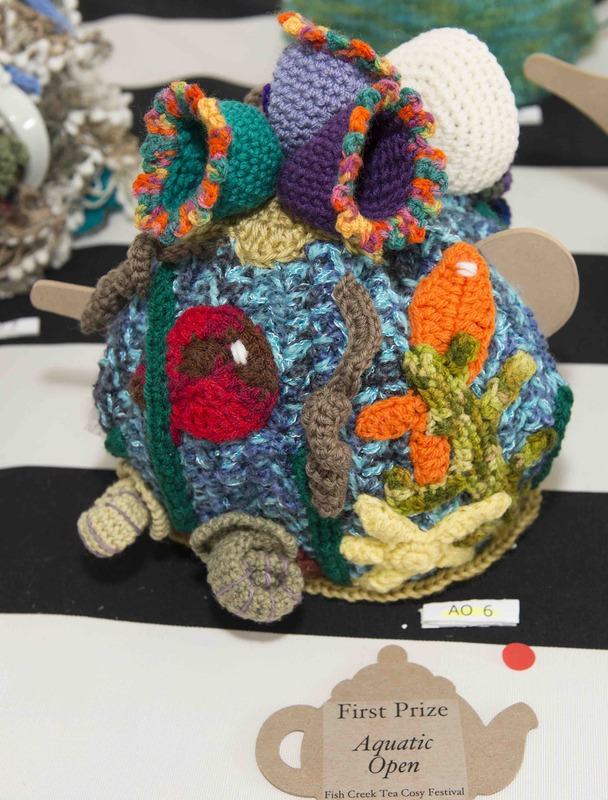 Honourable Mention – Barbara Perrett for Gold Fish, Sally Gibson for Tentacles Galore. Winner – Kaye Whitney for The Shed. 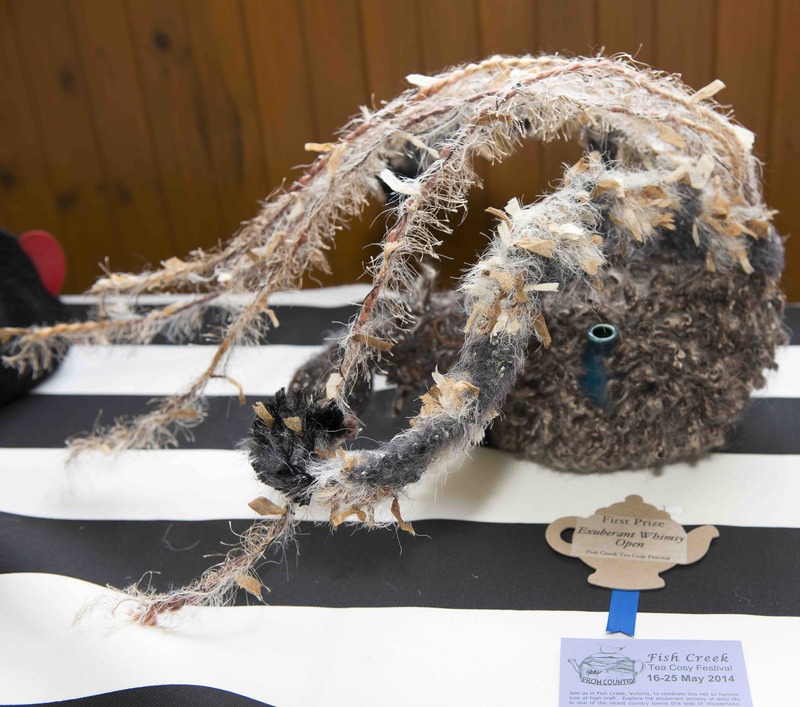 Honourable Mention – Andrew McPherson for Steampunk Tea Cosy, Mary Macleish for Mucho Libre, Yianni Banikos for Billy Tea. 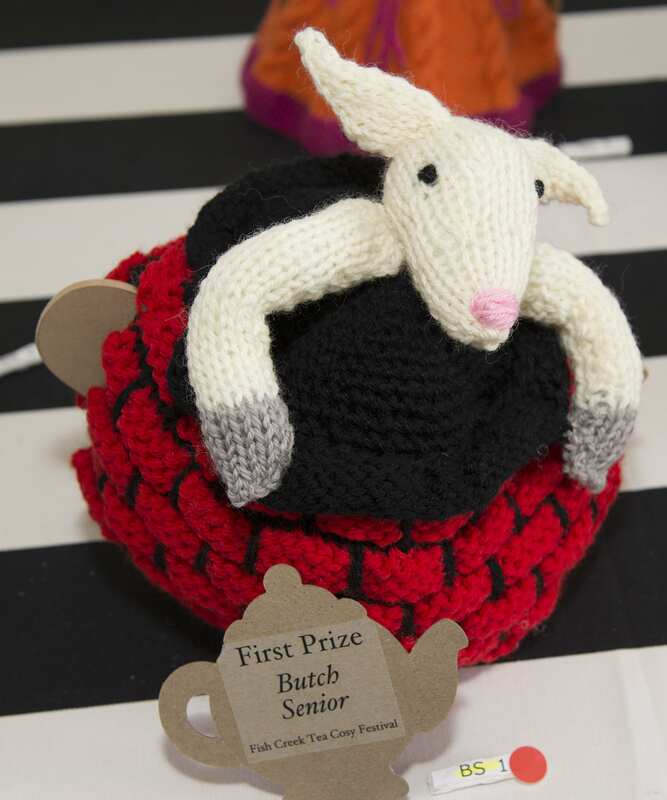 Winner – Barbara Perrett for Butch The Donkey Down The Well. Honourable Mention – Norm Biggs for Wood Tea. 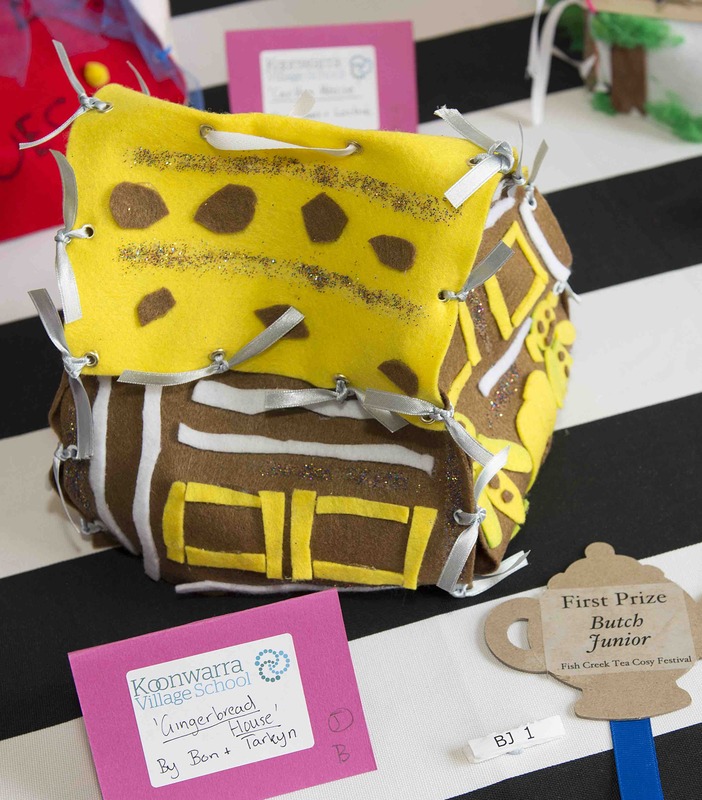 Winner – Koonwarra Village School for Gingerbread House. Honourable Mention – Koonwarra Village School for One Storey Tree House. Winner – Elizabeth Conolly for Not On My Track, Mac. 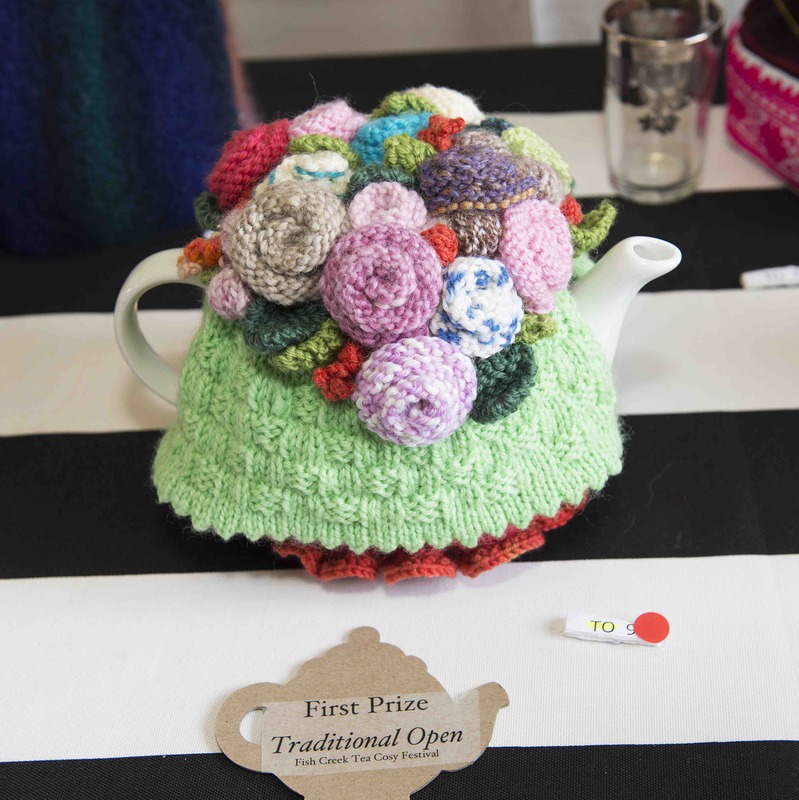 Honourable Mention – Dianne Frey for Tee Cosy, Heather Graham for Bits and Bobs, Jocelyn Meyer for Valkyrie, Kelly Pruyn for Hoddle Hills, Margaret Noonan for Garden of Light, Rhonda Bourke for Carnival of Colour. Winner – Cas O’Neill for Ping. 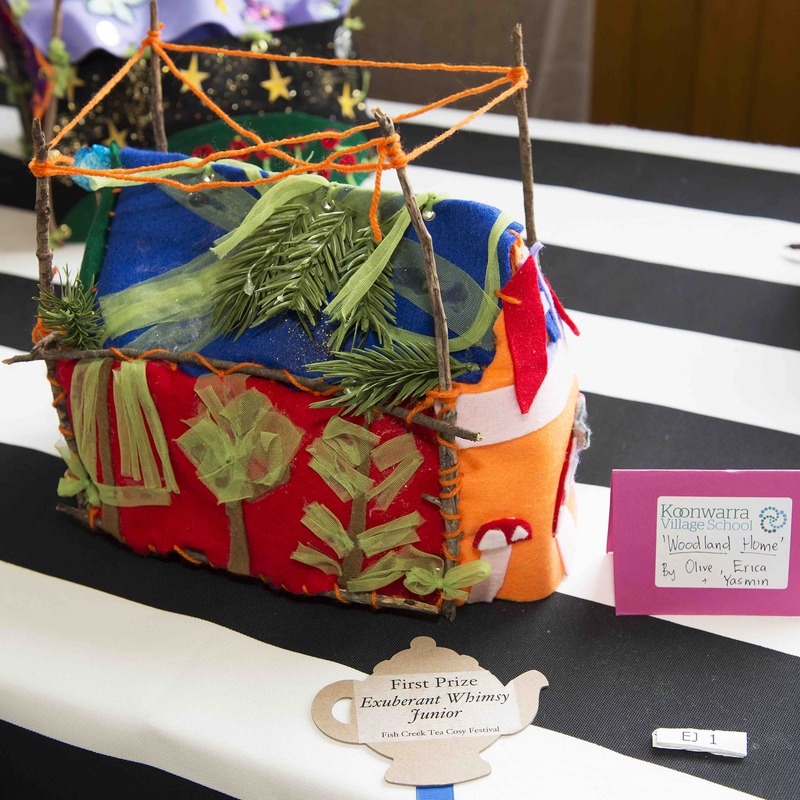 Honourable Mention – Barbara Perrett for Fairies at the Bottom of the Garden, Gwen Combridge for Owlie, Phyllis Barlow for Christmas and Recycle Having Fun. Winner – Koonwarra Village School for Woodland Home. 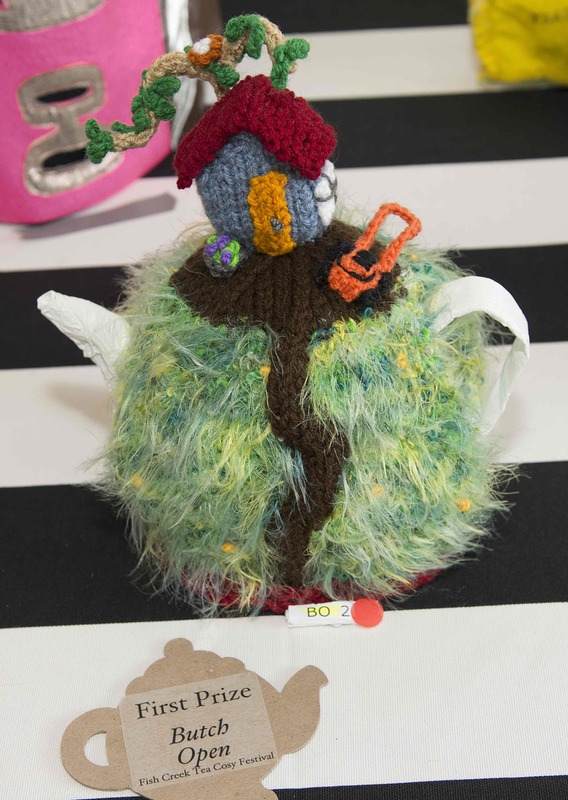 Honourable Mention – Koonwarra Village School for Mini Mouse House.